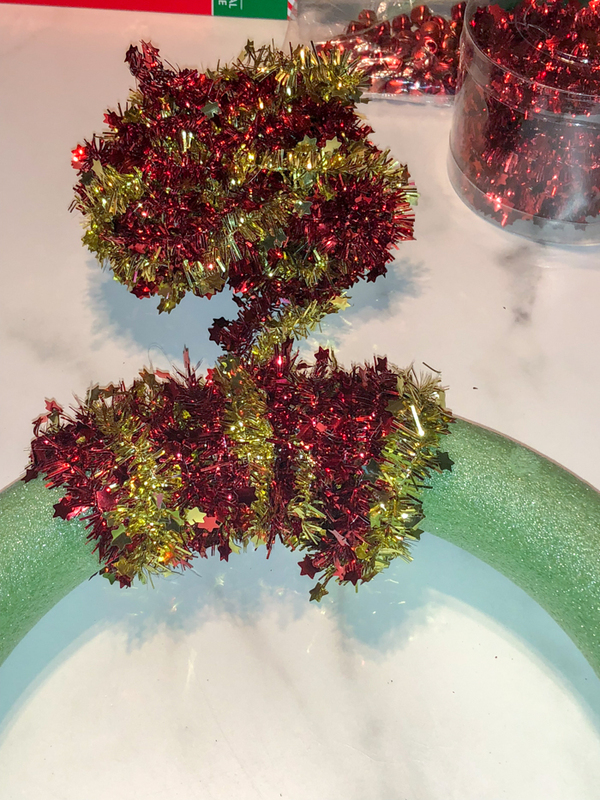 Looking for a simple DIY Christmas craft? 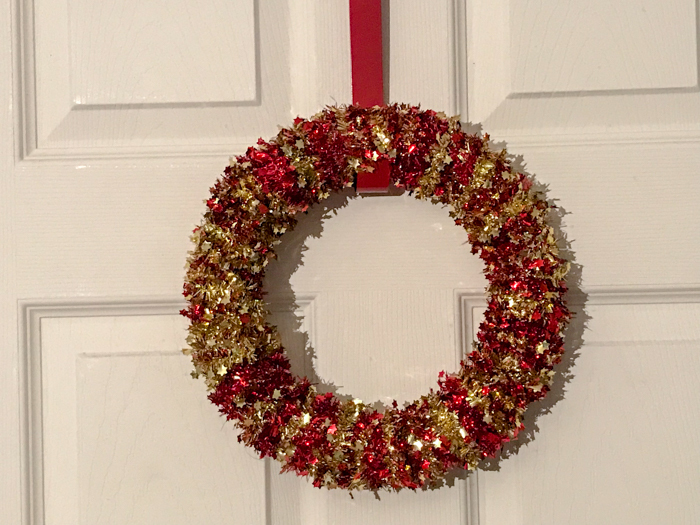 This simple Christmas wreath is made from materials found at the dollar store and only costs $6 and a few minutes to make. I love crafting. 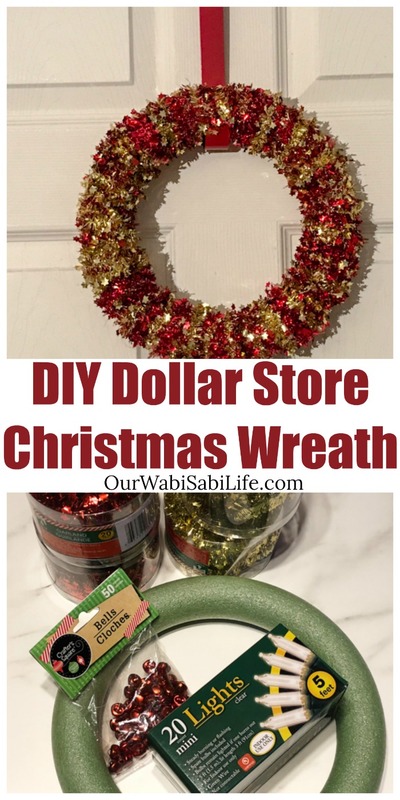 I love making DIY Christmas decorations.I hate spending a lot of money of the scrafting supplies. See, it doesn’t make sense for me to spend a lot of money to make something if I can buy it for less. I know that isn’t something that a crafter usually says. After many years of gathering craft supplies and finding time to craft, I have started being more practical when it comes to crafting. It isn’t a bad thing. It has to do with money matters and being practical with the amount of space I have in my house. Since buying our small house, only 724 sq foot, and putting money into the renovations, other hobbies had to pay the price. So whenever I go to the dollar store, I am always looking at the craft supplies. When I saw this pretty garland, I knew what I was going to do with it. I knew I wanted to make a Christmas Wreath. The dollar store had everything I needed to complete the wreat. It had the pretty garland and the wreath form. 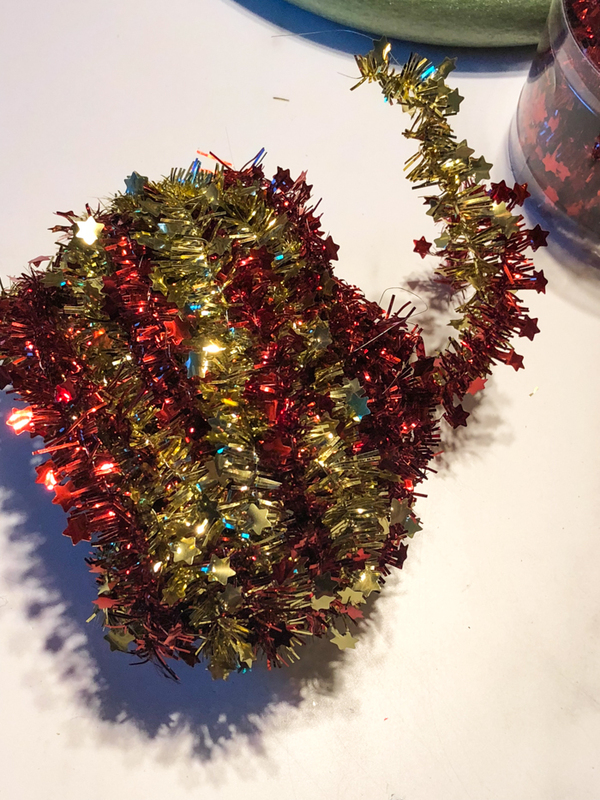 There are small Christmas bells and even Christmas lights, as well as little Christmas knick knacks. I could add as much or as little the wreath as I wanted. 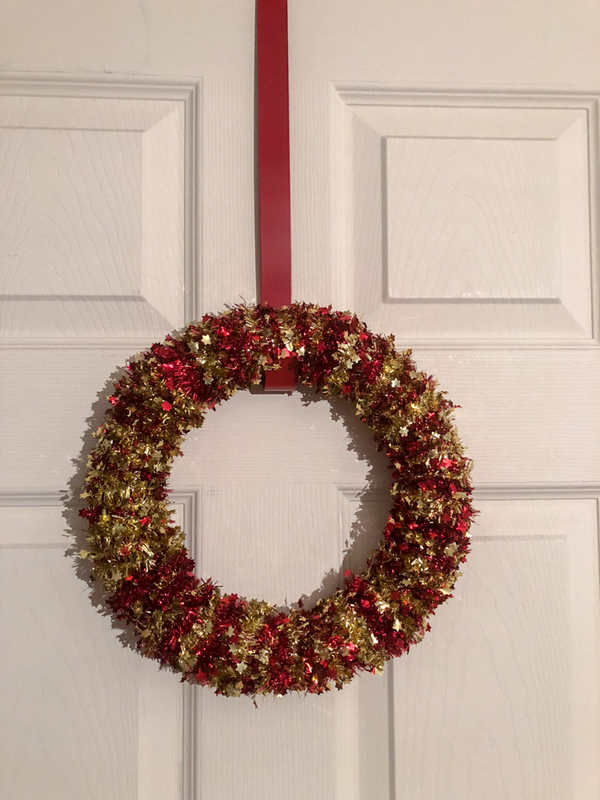 While bought the lights and the Christmas bells, I decided the wreath looked good enough with the just the garland, and the other things would be over kill. 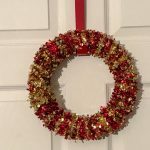 I was bale to get a new wreath holder from the dollar store as well. 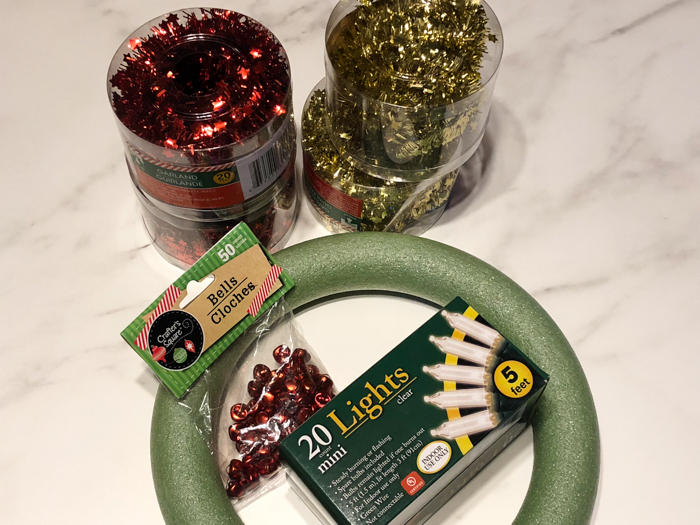 Everything I needed to make the wreath, including the holder came to $6. Any other trinkets you want on the wreath. Start with the garland. First unroll it, and then roll the 2 strands together into a ball. Next, start wrapping. Wrap the garland all the way around the wreath form. 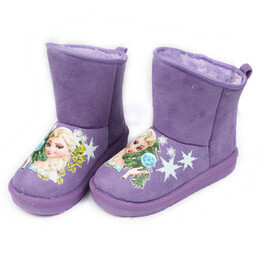 Make sure there are no gaps so that the form is not showing through. When you have reached the end, glue the end piece into place. 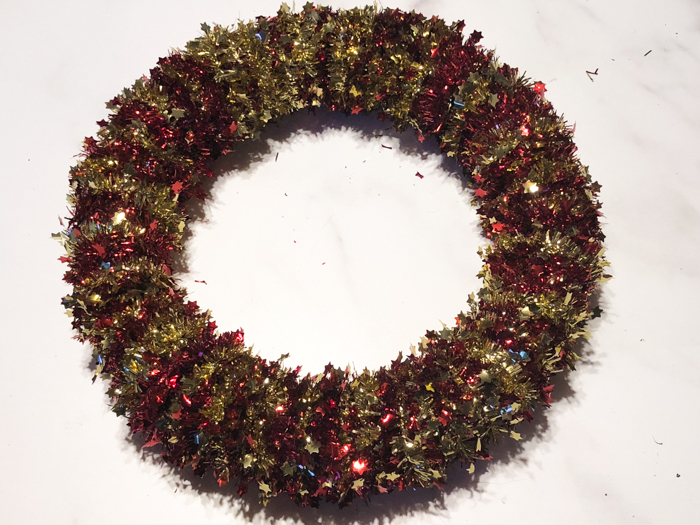 Once it is dry, add any other trinkets you want to the wreath.